Iceland has four seasons. Even though , they tend to come and go rather randomly. That means you can have snow in June in some places. You can have a “red Christmas“, as we call it, without any snow (almost destroying the holiday spirit, as it is not very Christmas-like in Iceland when there is no snow). You can even also have four seasons in one day, as I‘ve experienced on surprisingly high number of occasions. In the Winter, Icelanders read books voraciously, and we are obsessed with coziness: candles, good food, music, knitting or singing, and swimming of course in the warm geothermal pools. There is nothing like sitting in a hot tub in the middle of freezing cold weather with a blizzard going on…one is safe and warm in a geothermal pool, and you don´t even feel the cold when you have to walk back through the same blizzard to your locker rooms to shower and get dressed. I dare you to try it. It makes a Viking out of you. 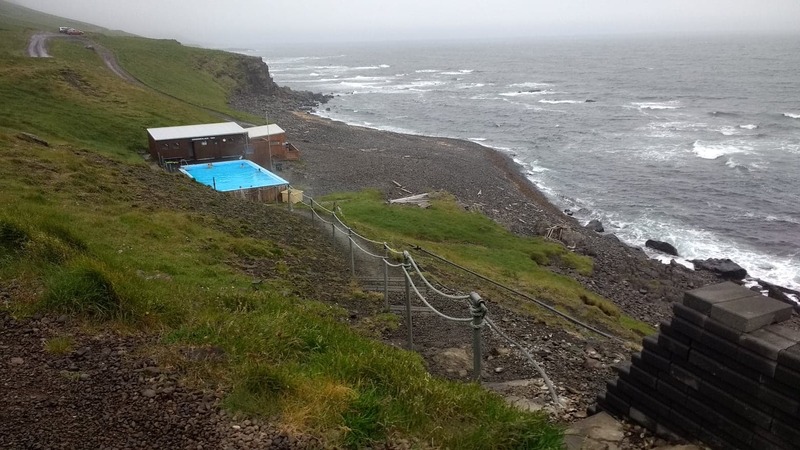 I remember a Danish friend of mine who was traumatized by the cold in December when he had to run 50 meters (or walk-run in agony) to the hot tubs at the swimming pool in Reykjavik. He jumped into the warmest one he could find, but that was shock number two! When he got to the good one, I couldn´t get him out as he didn‘t want to ever leave. Whenever he goes to Iceland he needs to go every single day to the pool and it doesn´t matter if there‘s a blizzard or not. Add a dash of Northern Lights…need I say more ?? I could go on about the winter season in Iceland, but even though it is the darkest time of the year and the weather can often be blustery and rough; we can always look forward to the national book flood happening in December when the Icelanders read like there is no tomorrow and life is not fulfilled until you have received at least one if not two books for Christmas. Winter is a wonderful time to visit Iceland. It‘s even better when you can connect with the locals over a home-cooked meal or through a tour to come of Iceland‘s hidden winter gems.